On April 29, Respite Care Charleston (RCC) will host its annual MORE.GOOD.DAYS. 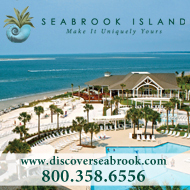 Golf Tournament at The Seabrook Island Club’s Crooked Oaks course. 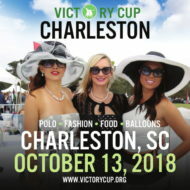 Proceeds from the event will benefit RCC, a 501(c)3 nonprofit organization which has provided support and services to Charleston families living with Alzheimer’s disease and related dementia (ADRD) for more than 20 years. 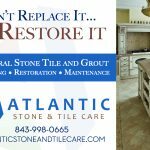 Over 6,000 Charleston County residents have been diagnosed with ADRD, and 78 percent live at home or with family. There is no cure for ADRD, and as the symptoms progress, those with the disease must increasingly rely on caregivers to handle their household and healthcare needs through aroundthe-clock supervision. Research shows 40% of caregivers suffer from depression – the result of stress, exacerbated health problems, and employment and financial challenges related to care. The only program of its kind serving Charleston, RCC’s non-medical program is an affordable alternative to in-home care. Funds raised through the golf tournament support subsidies and scholarships which ensure no family is denied respite due to financial challenges. Now in its 15 year, the golf tournament will be a captain’s choice format played on South Carolina’s only course designed by Robert Trent Jones, Sr. The $175 player registration fee includes cart and greens fees, lunch, beverages and an awards dinner after play ends. Registration will begin at 11 a.m., followed by a putting contest at noon and a shotgun start at 1 p.m. Non-golfers can participate in the fundraiser by attending the awards dinner at The Seabrook Island Club. Tickets for the dinner are $35 per person and can be purchased online at RespiteCareCharleston.org. For sponsorships, or for additional information about the event, contact Sara Perry at Sara@RespiteCareCharleston.org or 843.647.7405.